As part of our record-keeping, in the almost-two-years since we bought Yarnauwi we’ve tried to document the natural phenomena we observe season by season. At the end of each year, we go back over our journals and add what we’ve discovered to the records of the previous year. Over time, we hope, we’ll get a much more complex understanding of the ecological patterns that occur in our landscape, as well as the changes that may occur as a result of our activities. Already, in the short time we’ve been on the block, we’ve noted shifts in the populations and presence of certain plants and creatures. While we often overlook insects, when looking back through our photos and notes, we realised that we have actually been observing their more subtle role through the seasons: the sudden chorus of crickets after the opening rains, or the way the grass flickers with grasshoppers in late summer. In their honour, here’s a year in bugs. Representing less than a couple of years of observation, it’s far from authoritative, but perhaps it offers the beginnings of a pattern. 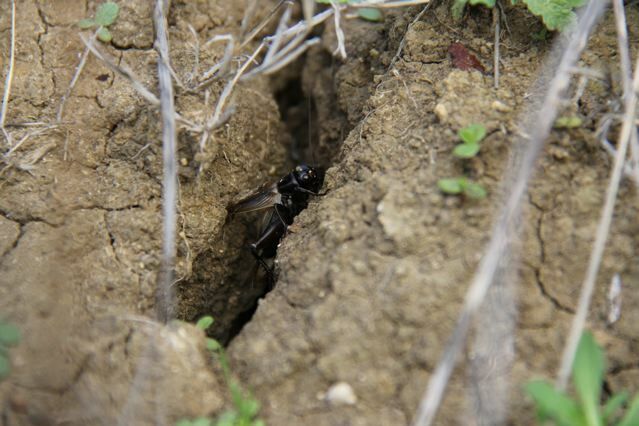 Crickets sing from the cracked soil after the first flush of rains. 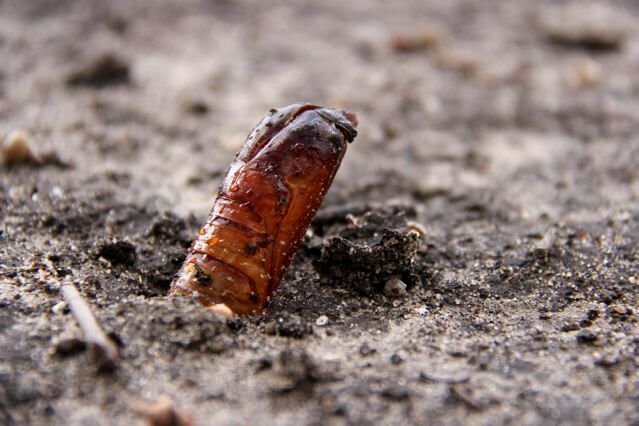 Bardi grubs (Rain moth pupae) emerge from the soil around the River red gums following the first rains.